I have a 3 BHK flat in SRS Royal hills. I have already paid the EDC/IDC for the same. However 2 days back I got a demand letter asking for another 2.9 lacs as Enhanced EDC. Its very frustrating that even after paying a huge amount as EDC, why govt is asking for another huge amount as EDC. Please provide me some guidance in this. Any help will be appreciated. I am quite new to this forum. I am expecting some valuable comments from the members who have some detailed information about this issue. As from some of my friends (who invested in Faridabad in diff projects) I came to know that they have paid the amount even after they got the possesion. But this is really frustrating. I also have one flat in royal hills and got a demand letter for increased EDC (1.8 Lac) 2 days back. I am also confused what to do. 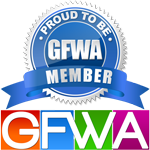 have you attended the GFWA meeting? any conclusion on this? Can you pls advice the outcome of GFWA general body's meeting on increased EDC? i was not able to attend the meeting due to health problem. 1. As there is no such development happened in Faridabad area, most of the people are not willing to pay the demand as of now. Court might give some decision on 1st Nov. However, it might be in favour of us. GFWA and all the members are fighting for this as its illegal to ask this amount. They have circulated a copy of RTI which states that, Govt has not done any development in terms of roads, water supply and sewage in the FBD area and it will happen in next 3 years. So, the concern is why to pay some more money to govt as they are having almost 1500 CR rupees for the same. 2. GFWA did not make any commitment on this as the deceision form the court might come out in favour of the buyers. However, every buyers have the rights to take decision whether to pay the amount or not. 3. GFWA is planning to protest against this illegal demand by the Govt. I would request all buyers who has invested their money for a dream home in Faridabad should join this protest any how, wherever or whenever it happens. Because this is the time we as a group can recify the issues. Otherwise it might be too late to get something good. Thanks Rubul for your valuable information. Yes, this is our hard earn money and we have invested for our dream home. I request all the home buyers at FBD, pls be member of GFWA and join for this march. Please come together and have a meeting to go to SRS Office at Sector -12 in a group to discuss the matter with SRS Management. I will try to come there. But post date and time for meeting and discussion. I copied Girish Mishra's username but when i post this message, it convert into s**t.
I am agree with you that we all SRS Royal Hills buyers should go SRS office together to get an unpadate about this illegal demand by Govt through SRS Group. As most of us had already paid a huge amount as EDC, we should not pay this now. At least we should speak to them together to get their response and I am sure that if we can show them that there are a huge number of buyers who got harrased by this demand, I think SRS will do something good for us. So, please decide when to go to their office. Also, I would request all of the SRS Royal hills buyers to join this (Does not matter if already paid the amount, because it's possible that near future (may be after few years) Govt might ask another amount for the same purpose. However, they are simply not doing any major development in this area. Girish, personally I suggest a date Sept 24th 2011 (Saturday) for this meeting with the SRS management. In addition, I would like to request the GFWA members to assist and guide us for the proposed meeting with the SRS management. I also received a letter yesterday. They have increased the EDC by 1.7 lakh around. I am ok to join the meeting as mentioned below. Pls confirm the timings. they will not provide a copy of the memo. In their demand letter they have written that they will create a lien on my flat booked without my consent or they think no need to ask for my consent if i don't pay up the increased EDC charges by 5th of october.2011. Please advice me on this. I have 3 BHK Flat in Tower C2. I will join for the meeting with SRS officials. Kindly convey date & time. DEMAND OF EDC BY THE GOVT IS JUSTIFIED OR NOT JUSTIFIED HAS TO BE DECIDED BY THE COURT. THE WORST PART OF IT IS THAT THE BUILDER IS DEMANDING THE ENTIRE AMOUNT AT ONE GO WHEN IT IS REQUIRED BY THE BUILDER TO PAY THE GOVT, IN INSTALMENTS. WHICH CLEARLY SHOWS THE BUILDERS BAD INTENTIONS. IN ADDITION TO THIS INJUSTICE THEY HAVE ALSO ANNOUNCED TO IMPOSE 24% ON THE HIKED EDC AMOUNT IF YOU DON'T PAY UP AT ONE GO. I request you to kindly update on this! As i remember correctly we had a plan any visit to SRS office for this. Last date of paying EDC is 5th oct. Can we decide a consolidated action from all members. Also do we need to send any letter to SRS as advised/proposed by GFWA (file name : GFWA-EDC Letter-Others-Possession_Far_Away_07.09.2011 was posted on GFWA reply to of EDC issue). iu95 c00n qinterest rates , collectively meet them and and get an understanding (may be in writing if possible), that if court gives desc ion in favor of us , they will adjust the amount in other costs pending to builder. on this issue. As a project representative , you might have already thought some way forward. what i think whatever we all decide once , Every body should take the same action. 1) Pay the EDC now to avoid higher interest rates , collectively meet them and and get an understanding (may be in writing if possible), that if court gives desc ion in favor of us , they will adjust the amount in other costs pending to builder. 2)No body who-ever are present in this forum, should pay EDC now ,collectively meet them , and communicate our desc ion to them. wait for court's descion and then take action based on court hearing after 1st Nov. The above are just my views on this issue. As a project representative , you might have already thought some way forward. what i think whatever we all decide once , every body should follow the same action.